First off, I hope that everyone had a pleasant time over the holidays, eating good food, getting lots of rest and spending time with those you love. Michell and I had a pretty uneventful holiday break. She had taken a week off for Christmas, but the weather was not cooperative and we were not able to make any of the trips to Siquior or Sipalay that we wanted to take. The highlight – and it was a serious highlight – was being able to host a little Christmas party for the neighborhood kids. More than anything, that drove the holiday spirit home, and I think everyone’s life became a little bit better for it. Now let’s talk about electricity. I am a big fan of the electrical juice, equally savoring joules, watts, volts and amps. I didn’t realize just how much of a fan I was until I moved to the Philippines and was actually deprived of it for the first time in my overly spoiled Western life. Then – when it shut down, ushering in my first “brownout” – the sadness rushed in like a sweet, sweet lover slamming the door behind her. Alas…. It’s best to be prepared for the inevitability of power outages. To keep things short, I’ll just list out some things that you should have on hand for those dark days and nights. Flashlights/Lanterns: You don’t have to bring any with you as the local stores are stocked with a wide variety of battery-powered light sources. Most of them are now LED which put out more light for less battery power than conventional incandescent and flourescent bulbs. We have three around the house, and my go-to light is one that is magnectically attached to the side of the refrigerator (“ref” in the local lingo). I’ve got the house pretty much mapped out now, so stumbling around in the dark to find it is easy. Local Filipinos in less affluent areas use oil lamps – and the warm yellow glow from their homes usually lets you know of a brownout before you arrive at your own darkened homestead. 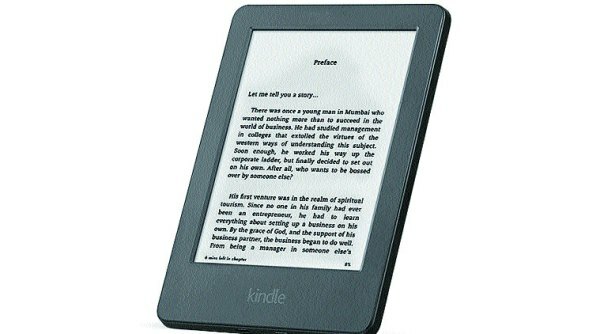 Backlit E-Reader: I have a simple Kindle Paperwhite and like my refrigerator-mounted LED lantern, it’s my go-to device during a power outage. Battery Powered Fan: These are sold all over the place, and they really help out on a hot, humid night when the power goes out. Rechargeable Fan with AM radio no less…. Rechargeable Batteries: I am a big fan of Sanyo Eneloop batteries. I have one charger (will get another when I next visit the US) and about 16 AA and AAA branded Eneloop batteries. I use them in all my lights, computer mice, game controllers, digital cameras and even our wall clock. Note that you should spend a little more to get the Eneloops – other, less expensive batteries quickly discharge – the “Loops” don’t do this and last quite a long time. 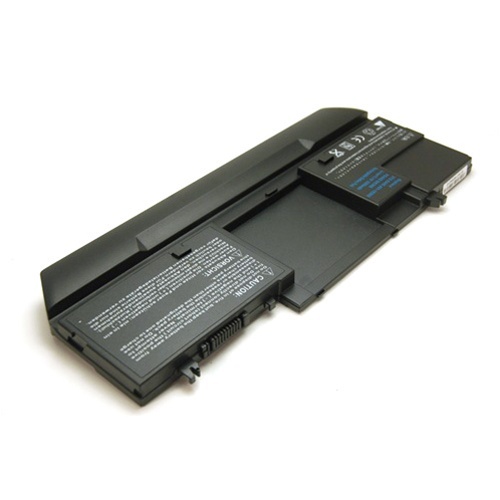 Laptop Battery: My Dell M1330 battery lasts about seven to eight hours. If your system doesn’t last as long, you might consider getting a spare battery. Phone USB Battery Packs: They also sell these all over on the cheap in the Philippines, so don’t bring any. When your phone battery runs down, you simply plug the “brick” into your phone charging port and you’re good to go. 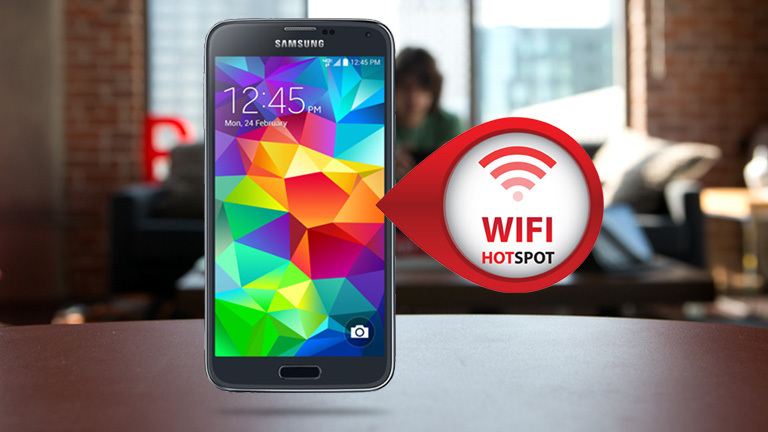 Internet Access: If your phone is charged and you have a data plan, you can simply set up a wireless access point and connect to it with your laptop. Works great, and you won’t feel that horrible isolation associated with being disconnected from the World Wide Web. Just make sure you know what your data plan limits are, as going over it can deplete your phone “load” very quickly! Board Games: Scrabble, Yahtzee, chess, Monopoly, Risk – it’s all good. Well, maybe not Risk – double crossing friends and family and attacking their countries can bring out the worst in a relationship pretty quickly. Or – if you are solo – just fire up your laptop and have at it with Solitaire or any other game of your choice. (Mine is Duke Nukem 3D, which never goes out of style). In the next part, we’ll talk about “dirty electricity,” device voltage differences, the cost of electricity and some cost-cutting techniques that you can use. And back atcha, Armando! Thanks! Having a good book is a necessity! I love my Kindle and will probably pick up another one when I go back to visit in the States. Concerning the Sanyo batter charger, I see on Amazon that it be used with both 110 and 220 V? And the Panasonic model is great because it claims that you can charge a combination of 1 to 4 AA and AAA batteries at the same time. Can you purchase the NiMh rechargeable Eneloop batteries there? Thanks. Yes, they actually sell them on Lazada.com. The one I brought with does work on both 110 and 220. They are great as they discharge very slowly and can be stored charged for years. I have had some other rechargeable batteries and they didn’t hold charge long at all. Happy New Year and Thanks for all the wonderful videos and information! In your video where you reference disintegrating furniture you mention “dust” on the particle board furniture. Actually I think it is a mold/fungus of some type. Note that the deposits were all circular and appeared deeper around the center. Perhaps wiping the furniture down with Tea Tree Oil or some other type of anti-fungal agent may help prevent this. I suspect that the regular real wood furniture in the Philippines has a varnish on it that the mold does not find appetizing. As you probably know mold can also cause allergies and other health problems. Or maybe not depending on ones sensitivity. when we wore a younger mans clothes. Doubt you’ll ever find me up a midnight now (unless it’s a toilet run). Yeah, I love Risk. It can get ugly at times with the betrayals but that’s all part of the allure. And I don’t stay up late either – mornings in the Phils are too nice to miss! brownouts in mindoro province (even puerto galera) typically last when planned 8 hours, when unplanned even 15 hours…..
now im living in bantayan island (northern cebu proovince) and while im writing there is a brownout (yes i had som juice in my laptop) and internet always works with globe during brownnouts. last time i had a brownout here in bantayan it lasted 2 hours, hope this time it will not last more than this.